Manchester Football Tours are not only designed for Manchester United fans, but also for everyone else interested in football. 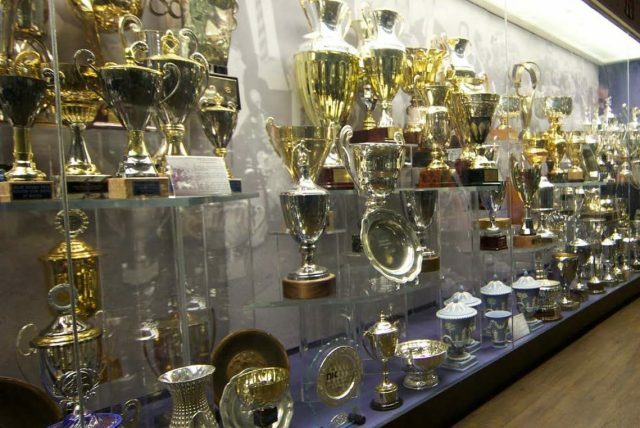 As a fan you could know everything about the club and its stadium, Old Trafford. For everyone else, we have created a little summary with the most important facts about Manchester United. Refresh your memories about the Club and the Stadium before you visit the real thing! For more information about the city itself, please click here. Manchester United Football Club is one of the most successful clubs in the world! The club was founded in 1878 and changed its name to Manchester United Football Club in 1902. Manchester United Football Club was the first English club to ever win the European Cup final. Manchester United have won the Premier League a record 13 times (since the Premier League reformation in 1992), the English League title 20 times, a record of 12 FA Cups, 5 League Cups, 3 European Champions Cups and 1 FIFA Club World Cup. After 27 successful years as team manager, Sir Alex Ferguson retired at the end of season 2012/2013. To honour his work for Manchester United Football Club, the North Stand was renamed the Sir Alex Ferguson Stand. The current team manager is José Mourinho. Old Trafford, also referred to as “The Theatre of Dreams”, was opened in 1910. During the Second World War, it was used as a military depot and got heavily damaged by a German bombing in 1941. The stadium was rebuilt and since 1949 it hosts all Manchester United Football Club games. A decade later, a roof was installed to cover the stands and floodlights were installed. In the beginning of the 1990s, Old Trafford became an all-seater stadium, thereby reducing the capacity to 44,000 as opposed to ca. 56,000 before the conversion. Old Trafford underwent several expansions in the following years, including the addition of extra tiers to the North, West and East Stands, thereby almost returning the stadium to its original capacity of 80,000. 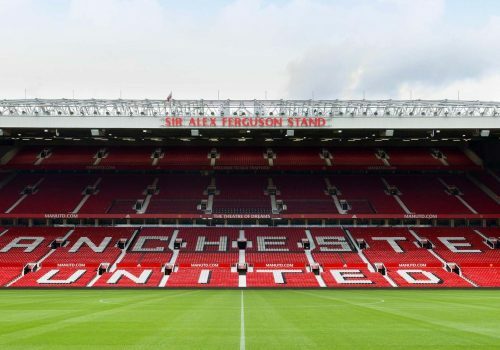 At the moment Old Trafford can accommodate 75,600 guests at a time.